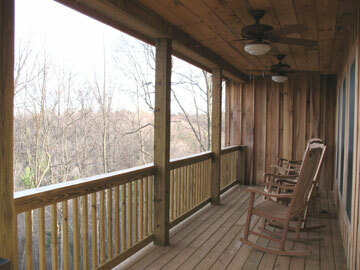 Enjoy the spectacular mountain views from a rocking chair on the large covered porch at 2700' elevation. 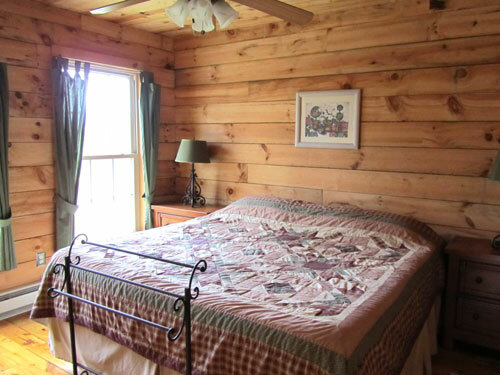 Four guests are accommodated comfortably in two bedrooms, both with king-sized beds. 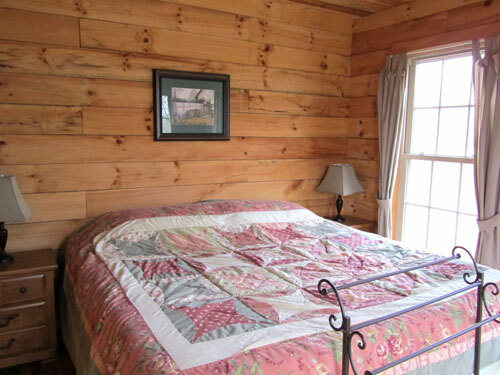 Bedding and towels are provided. 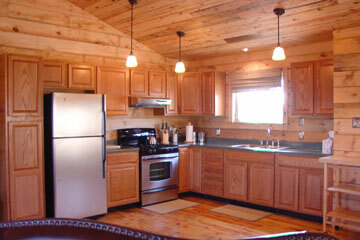 Kitchen, with refrigerator, stove, microwave, toaster, and coffee maker, has basic cooking equipment. There are dishes and glassware for your convenience. 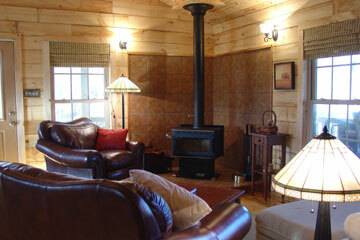 Make a fire in the woodstove for a cozy evening (firewood provided). Dining table in greatroom seats six. 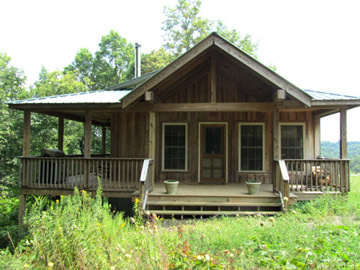 Bobcat Bungalow has a single bath with shower and large jacuzzi. 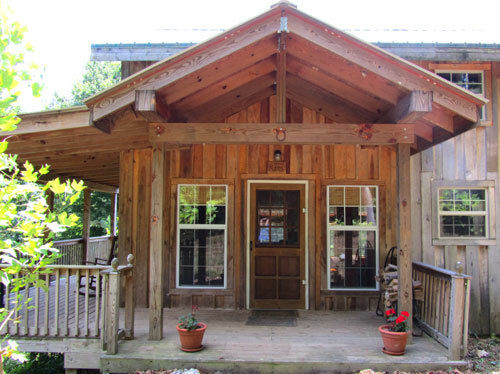 Complete kitchen opens into an airy great room with high vaulted ceiling and breathtaking views. 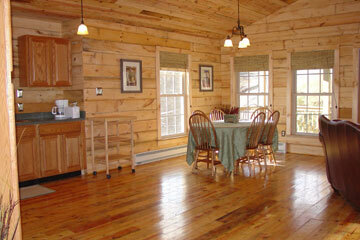 In addition to the woodstove, there are electric radiators to keep you comfortably warm in cold weather. 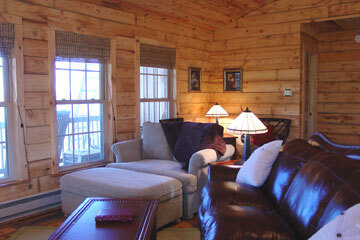 Perfect for a family retreat, anniversary weekend, a romantic honeymoon, or sportsmen's getaway.